Strzok is the third high-ranking person to be fired from the Federal Bureau of Investigation during the Trump administration, including former Director James Comey. During his FBI career, Strzok rose to deputy assistant director, focussing on counterintelligence. After Justice Department internal investigators found the texts, Strzok was reassigned from Special Counsel Robert Mueller‘s investigation into the Trump campaign. The firing came after a lengthy internal investigation. Strzok’s attorney, Aitan Goelman, said in a statement that FBI Deputy Director David Bowdich made the decision to terminate his client. 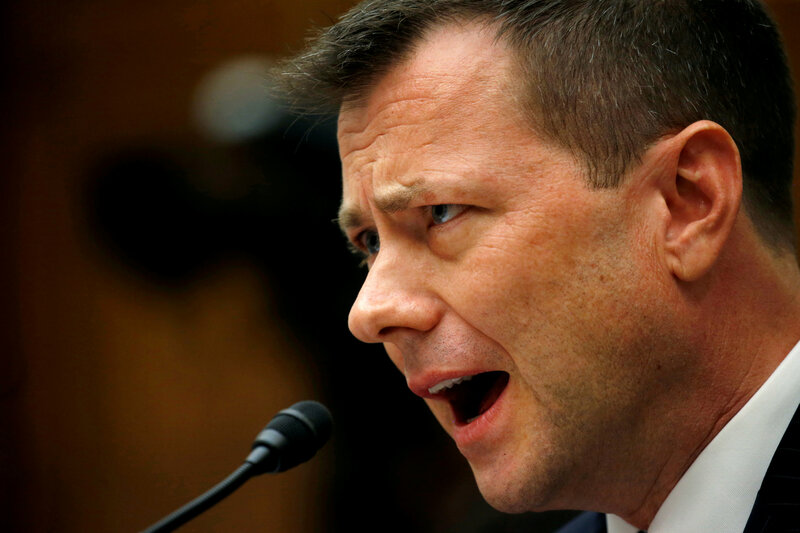 The decision, Goelman added, was at odds with a recommendation by the FBI’s Office of Professional Responsibility, which had called for Strzok to face a 60-day suspension and demotion from his supervisory responsibilities. The FBI said in a statement it had followed its standard review and disciplinary process after the inspector general referred the Strzok case to the FBI’s Office of Professional Responsibility. “OPR reviewed the investigative materials, as well as the written and oral responses of Mr. Strzok and his counsel, and issued OPR’s decision. The deputy director, as the senior career FBI official, has the delegated authority to review and modify any disciplinary findings … as deemed necessary,” the statement said. 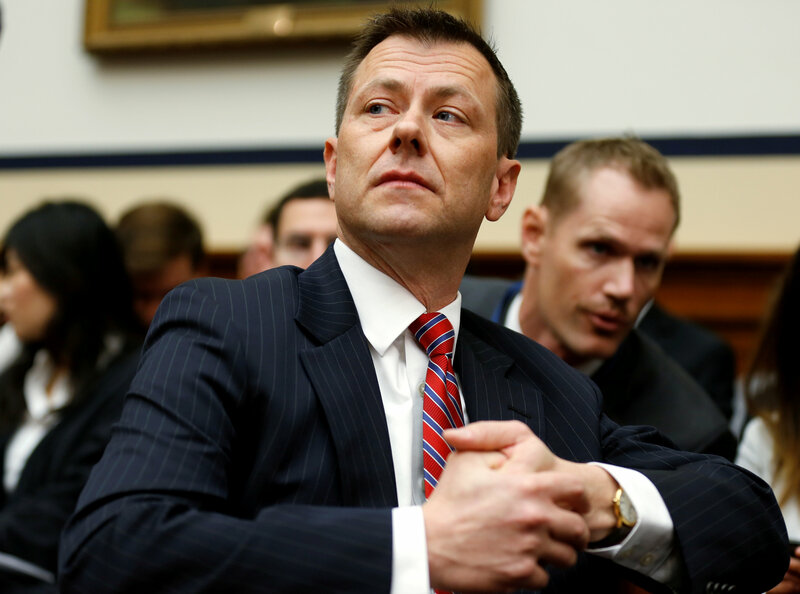 Goelman said the appeals step was bypassed in Strzok’s case and the FBI did not follow the normal course afforded to other FBI agents. “Agent Peter Strzok was just fired from the FBI-finally,” wrote Trump, who had called for Strzok’s ouster before. 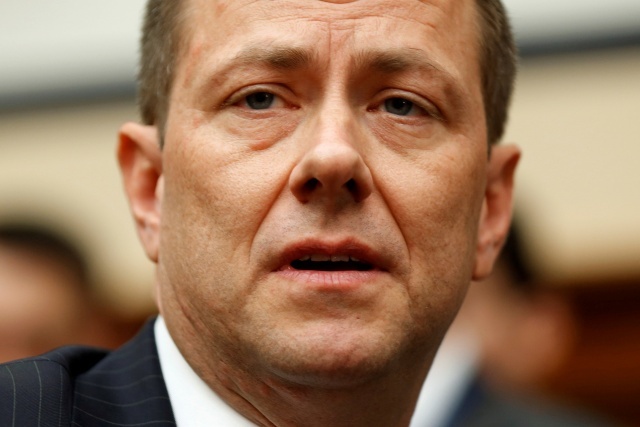 A post under a newly created Twitter account under Strzok’s name said he was “deeply saddened” by the decision to fire him. The post also linked to a GoFundMe page, which had raised more than $48,700 towards a $150,000 goal as of late Monday. “All funds raised on this GoFundMe will be put into a trust dedicated to covering Pete’s hefty – and growing – legal costs and his lost income,” the fundraising website says. In March, Attorney General Jeff Sessions fired FBI Deputy Director Andrew McCabe after a scathing report by the Justice Department’s internal watchdog concluded he had leaked information to reporters and misled investigators about his actions. Comey was fired by Trump in May 2017 after Deputy Attorney General Rod Rosenstein helped write a memo that was critical of how Comey handled the FBI’s probe into then-Secretary of State Hillary Clinton’s use of a private email server for official business. Later, however, Trump claimed he fired Comey over that “Russia thing,” apparently referring to the FBI probe into whether his presidential campaign colluded with Russia. Trump has repeatedly denied any collusion and called the investigation a witch hunt. Both Comey and McCabe said, however, they believe they were fired because they are key witnesses in Special Counsel Mueller’s probe into whether Trump may have tried to obstruct the investigation. He was removed from that post after his texts came to light. The texts were criticized by the Justice Department’s inspector general in a recent report that examined the FBI’s handling of the Clinton email probe. Republicans in Congress have repeatedly pointed to them as evidence the FBI is biased against Trump.